I’m an introvert. Something I’m not embarrassed to admit. This can sometimes be misinterpreted as being unfriendly or aloof, or as someone alluded to the other day, that apparently I am not a people-person. No, that’s not true, as that would imply that I don’t like people. Of course I like people, but that doesn’t mean I want them around me ALL the time. I’m happy in my own company, I prefer more one-on-one interactions with people, I don’t really like crowds and I particularly like my own space. Space…this is something that us mommies get to have very little of, because having little children means that someone is in your space almost constantly. So having children can certainly add a whole other dynamic to life as an introvert. My twins are now two and a half and are at a particularly clingy phase of their life, where separation anxiety has reached a little peak. HJ is particularly attached to me and follows me around the house all day. AG is a bit more independent at home and is happy to sit and do her own thing for a while without worrying about where mommy is constantly, but HJ is my little shadow, asking “What you doing, mommy?” at least every 20 minutes. But it’s not only the following me around and the 20 questions, it’s the constant touching me, grimy little fingers messing my clothes, climbing on me, pulling my hair band out, trying to remove my glasses from my face, and wanting to be picked up all the time that go along with it too. If you’re someone who generally likes their space, you’ll understand that this can be draining. Especially if you are not getting any chance in the day to just take a break, even to go pee in peace. Over the past couple of weeks the girls have been resisting their day naps as well, and it’s been a desperate struggle for me to get them to have that little sleep in the day. I’m desperate for that time so that I too can have a little bit of down time, some time with my own thoughts, some time for a cup of tea in peace – if they don’t sleep, then I don’t have a break all day, essentially being on the go from 6am when we all wake up to when I collapse on the couch or bed, when the girls are finally snoring in their beds and the house is clean, at about 9pm. It’s especially hard when IP is overseas for work and I have no back up. It is super hectic being one mommy versus two monkeys. He at least gets to have a break from it all. Yes, yes, I know he is there for work, and he is working hard, but he is getting a time out from the struggles of toddler-dom. And I have to admit, I do envy him sometimes, especially in those weeks where he has been in a romantic city like Barcelona or Madrid, sipping on sangria and eating paella, and I have had to deal with a sick child, copious amounts of vomit, washing, juggling work and kids and NO sleep. When he is home, IP is getting better at giving me a bit more alone time, but it has been a battle sometimes to get it right. Even if I try to escape unnoticed to the next room for 20 minutes while he is playing with them, inevitably, I’ll hear the pitter patter of little feet coming into the room within a few minutes, and a little voice saying, “What you doing, mommy?”. Admittedly, it is rather cute that they care so much about me and what I’m doing, I feel honoured! But, oh my word, this mommy still needs some time out too. In the very early days my introvert nature took particular strain with the challenge of being out in public with the girls. As most twin moms know, pushing around a double pram gets plenty of attention and people know no boundaries when it comes to personal space and asking a million personal questions. Going to a shop for a quick bag of groceries became a serious lesson in patience, and I became a master of not making eye contact with anyone for fear they would approach me or try strike up a conversation. I would always try be polite when people approached me, but there were times when my sarcasm reached a peak and I no longer tried to hide my annoyance at the interruption to my time and energy. I mean, seriously, navigating that pram around store corners is hard enough as it is without being stopped every few minutes by people who don’t know how to mind their own business. But being an introverted mom is not only about wanting space and not wanting to be around people. 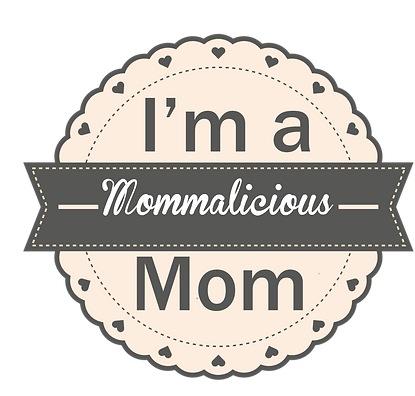 On the flip side, motherhood as an introvert can be an extremely lonely journey, especially if you’re a stay-at-home or, in my case, a work-from-home mom. There are days when you crave the company of others, and are desperate for some adult conversation that doesn’t involve talking about children. But at the end of the day, you’re just too exhausted to make any real effort to connect with people, and it’s just too hectic going out with the kids, so you stay at home, living the same cycle over and over. Many moms join mothers’ groups for the chance to meet other moms in the same boat and these are a wonderful means of making new friends and getting out the house when you feel like the walls are going to cave in on you. But for an introvert, these groups can be terrifying. And for an introverted mom with twins, well, this presents a whole other pile of difficulties. An introvert is not naturally going to strike up random conversations with random strangers at these gatherings, and then when you’re trying to run after two toddlers at the same time it’s virtually impossible to actually do any socialising at a mom’s group. So by the time you leave you’re absolutely exhausted, and you realise you didn’t even talk to another mom and never even had a chance to have a cup of tea, so you end up not going back the next week because you wonder what the point was in the first place. But I also realise that this phase too shall pass. I know there will come a time when my children will no longer want to sit on my lap, won’t come running for cuddles, will no longer ask me what I’m doing fifty times a day. Soon they probably won’t want to know me, will be embarrassed by me, won’t care what I’m doing. And then I’ll probably be writing a new blog post lamenting how my kids don’t want to spend time with me anymore, and I’ll be longing for the old days when they were my little shadows. I know they will eventually become self-sufficient enough that I’m not constantly running after them, making sure they’re not about to tumble down the steep stairs or fall off the jungle gym because they want to climb the monkey bars. I know eventually there will come a time when I can sit with a cup of tea and relax, have a normal conversation and finally get some “me time”. So as hard as this current phase is, I know I need to enjoy these small moments while I’m still the most important person in their lives. I’m their hero, I’m their everything, I am their mommy, and I love these munchkins to bits. Although I need space and my own time sometimes, and it’s a constant struggle for me to keep my cool when all I want to do it sit for five minutes uninterrupted, or have an adult conversation, I know it’s more important to give my time to these children. One day, they won’t look back at all the things I gave them, and thank me. No, one day they will look back and remember the TIME I gave them, the memories I made with them, the experiences I shared with them, and they will know that I was there for them, always.